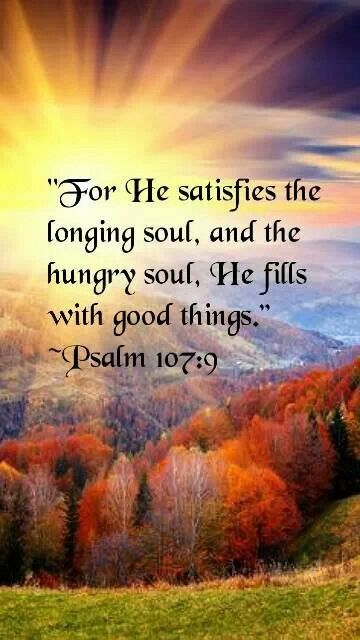 PSALM 107:9 – FOR HE SATISFIETH THE THE LONGING SOUL, AND FILLETH THE HUNGRY SOUL WITH GOODNESS. LUKE 1:53 – HE HATH FILLED THE HUNGRY WITH GOOD THINGS; AND THE RICH HE HATH SENT EMPTY AWAY. PSALM 22:26 – THE MEEK SHALL EAT AND BE SATISFIED: THEY SHALL PRAISE THE LORD THAT SEEK HIM: YOUR HEART SHALL LIVE FOR EVER. THERE SHOULD NOT A DAY GO BY THAT WE ALL DON’T HUNGER AND THIRST FOR MY ALMIGHTY GOD EL SHADDAI. I CAN’T HELP MYSELF BUT, JUST TO LIFT UP MY HANDS AND JUST TELL THE LORD “THANK YOU” FOR GIVING ME LIFE ONE MORE DAY, THANK YOU FOR KEEPING ME IN MY RIGHT MIND, THANK YOU FOR YOUR HEALTH AND STRENGTH, AND I JUST BEGAN TO CRY OUT TO THE LORD, WORDS CANNOT EXPLAIN THE LOVE THAT I HAVE FOR MY ALMIGHTY GOD EL SHADDAI, YOU SEE I AM STILL HERE. WHEN I ALMOST DIED AND PEOPLE DIDN’T THINK I WOULD MAKE IT INCLUDING THE DOCTORS BUT, JESUS, ONLY MY JESUS. AFTER THE SURGERY I HAD TO WEAR A COLOSTOMY BAG BUT, NEVERTHELESS, I’M STILL HERE BECAUSE OF MY ALMIGHTY GOD EL SHADDAI AND I CAN’T THANK, WORSHIP, AND PRAISE HIM ENOUGH. I SERVE AN AWESOME, MIGHTY, WONDERFUL, EXCELLENT, POWERFUL GOD. HALLELUJAH!!!! THANK YOU JESUS!!! I PRAY THAT I HAVE SAID SOMETHING TO ENCOURAGE SOMEONE. ALWAYS REMEMBER: GOD LOVES YOU AND SO DO I. HAVE A BLESSED DAY. GOD BLESS YOU!!! Categories "MISSIONARY CYNTHIA BENNETT TESTIMONY", "OUR SOULS SHOULD HUNGER AND THIRST FOR MY ALMIGHTY GOD: EL SHADDAI", OUR DAILY MEDITATION SCRIPTURES. PSALM 145:16 – YOU OPEN YOUR HAND AND SATISFY THE DESIRE OF EVERY LIVING THING. MATTHEW 5:45 – SO THAT YOU MAY BE SONS OF YOUR FATHER WHO IS IN HEAVEN; FOR HE CAUSES HIS SUN TO RISE ON THE EVIL AND THE GOOD, AND SENDS RAIN ON THE RIGHTEOUS AND THE UNRIGHTEOUS. (5) FOR THE LORD IS GOOD: HIS MERCY IS EVERLASTING; AND HIS TRUTH ENDURETH TO ALL GENERATIONS. HALLELUJAH!! THANK YOU JESUS. PRAISE MY ALMIGHTY GOD EL SHADDAI. SOME PEOPLE DON’T KNOW THAT GOD INHABITS THE PRAISES OF HIS PEOPLE AND THERE IS POWER IN YOUR PRAISE. THERE’S DELIVERANCE IN YOUR PRAISE. 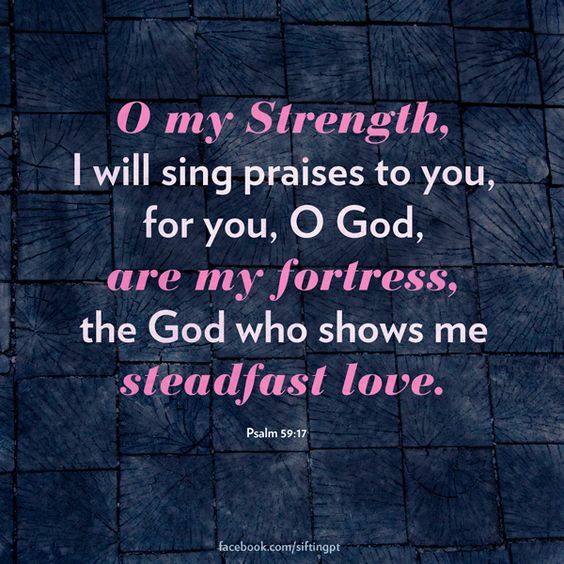 I LOVE JUST GETTING BY MYSELF LIFTING MY HANDS UNTO MY ALMIGHTY GOD EL SHADDAI AND JUST LETTING MY GOD, MY REDEEMER, MY HIGH TOWER, MY HEALER, MY PROVIDER, MY WAY MAKER SAYING THANK YOU GOD FOR YOUR PRECIOUS SON MY LORD AND SAVIOR JESUS CHRIST. I DON’T KNOW WHAT YOU ARE GOING THROUGH BUT, I TELL YOU WHAT EVEN THOUGH I AM IN THIS WHEELCHAIR DUE TO A BAD CAR WRECK, IT’S NOT GOING TO STOP ME FROM THANKING, WORSHIPPING, AND PRAISING MY ALMIGHTY GOD EL SHADDAI. WHEN THAT AIR BAG DEPLOYED IN MY FACE BREAKING MY GLASSES IN MY EYES, MY NECK,BACK WAS HURT. I COULDN’T MY LEGS OUT THE CAR BECAUSE THE MAN OLD TRUCK WAS STUCK INTO MY DRIVERS SIDE OF MY CAR. IT TOOK THREE PARAMEDICS TO GET ME OUT THE CAR. YOU KNOW WHEN YOU CAN’T SAY NOTHING ELSE JUST SAY “JESUS JESUS JESUS” I PRAISE AND MAGNIFY MY ALMIGHTY GOD EL SHADDAI BECAUSE I AM STILL HERE AND I THANK GOD FOR HIS AWESOME POWER. THE DEVIL TRIED TO KILL ME BUT, THE DEVIL IS ALREADY “DEFEATED! !” I DON’T NEED NO ONE TO TELL ME TO PRAISE EL SHADDAI BECAUSE I HAVE THE I CAN’T HELP ITS!!!!! YOU SEE: I KNOW WHERE GOD HAVE BROUGHT ME FROM AND WHAT HE HAVE DONE FOR ME IN MY LIFE, THEREFORE, I OWE GOD A YET PRAISE, GLORY, WORSHIP AND HONOR!! I PRAY THAT I HAVE SAID SOMETHING TO ENCOURAGE AND INSPIRE SOMEONE TODAY. GOD LOVES YOU AND SO DO I. PRAISE THE LORD. HAVE A BLESSED DAY. AND PRAISE GOD I HAD A DREAM THIS MORNING I WAS GETTING UP OUT OF THIS WHEELCHAIR . GLORY TO MY ALMIGHTY GOD. HALLELUJAH. I DECREE THAT I WILL BE WALKING AGAIN IN JESUS NAME!! GOD BLESS YOU!! Categories "I WILL SING PRAISES TO MY ALMIGHTY GOD EL SHADDAI", "MISSIONARY CYNTHIA BENNETT TESTIMONY", OUR DAILY MEDITATION SCRIPTURES.